Available on Modern Guilt and 2 other releases. "Bonfire Blondes" is a catchy bonus track/b-side for Modern Guilt. Over some pounding drums and rhythmic acoustic guitar and pulsing keyboards, Beck wonders about his worth as a human being. 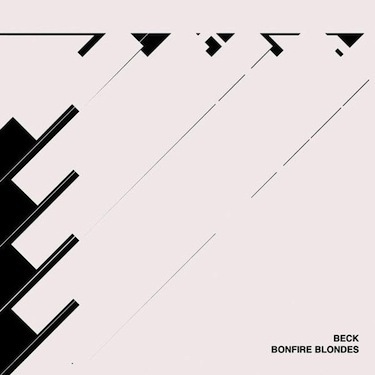 Beck, when he toured Japan for Modern Guilt, played "Bonfire Blondes" a couple of times (presumably because of the lyric about Japan?). It sounds nice on stage, a bit fuller, less raw. Instead of the acoustic guitar, it's done on electric, but mostly sounds very similar. It's a good stage song--lively beat, catchy vocals.